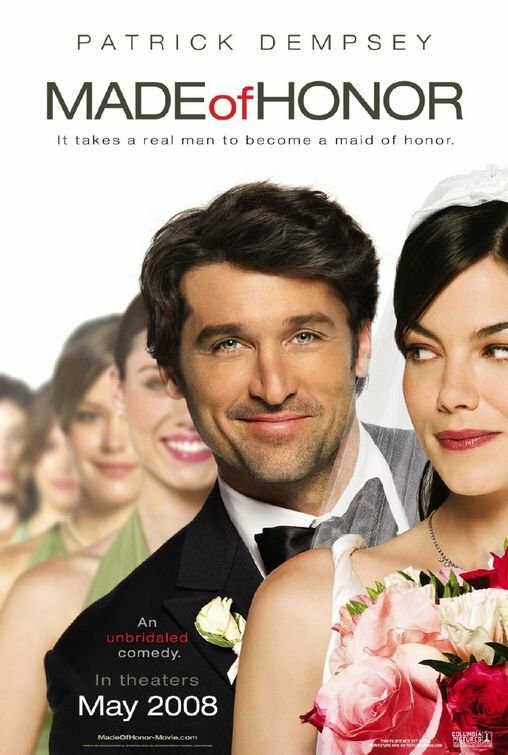 Brief Synopsis – A womanizer realizes that he is in love with his best friend when she gets engaged and he must do all he can to try and stop the wedding, even if he is the Maid of Honor. My Take on it – My wife is a super fan of the TV show Grey’s Anatomy so I decided to surprise her with a viewing of this film which features two of the main actors of that show (years back tho) Patrick Dempsey and Kevin McKidd. This film was actually made while they were both still on the show and that thrilled my wife as we were watching this movie. This is a very interesting rom-com that manages to stay enjoyable throughout largely due to the great cast that also includes Michelle Monaghan. She is able to show great chemistry (on different levels) with both of the actors and things work quiet well. The biggest problem with this film (and most rom-com’s for that matter) is the fact that they are usually quite formulaic and predictable and rarely feature anything very unique in the storyline. The dialogue is great and they manage to keep the humor level at a good standing that it allows the film to move forward quite smoothly. The landscapes of Scotland are absolutely stunning in this film and they found a way to accentuate them to the point where there is no question as to how beautifully shot this film is. They do a really nice job showing the bond between Dempsey and Monaghan that it is so easy to actually believe that their platonic friendship is truly a genuine and realistic one. Bottom Line – Very interesting Rom-com that stays enjoyable despite the fact that (like most films in the genre) it is quite predictable. Fans of the TV show will love this cast because it has both Dempsey and McKidd in this one. The dialogue is great and humorous and helps the story move along in the right direction. The landscapes of Scotland are gorgeous to view and they make great use of that to show how beautiful a land it truly is. This film does a nice job showing how close the characters are to one another that it seems like they could be genuine or realistic people who have such a platonic friendship. Recommended!